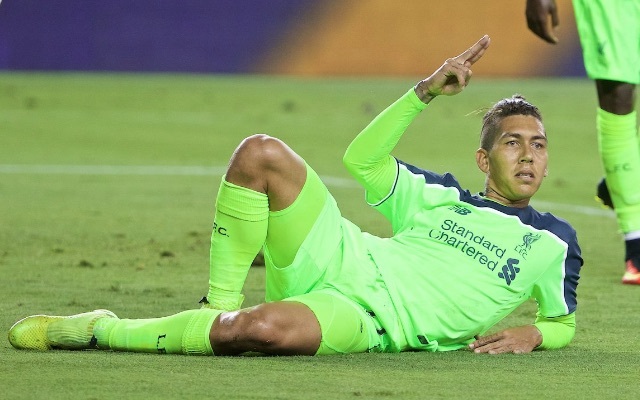 Roberto Firmino scored our fourth against Crystal Palace and celebrated brilliantly, whipping off his top and enjoying the adulation of Liverpool’s fans and his team-mates. But the Brazilian was so eager to celebrate when he chipped the ball over an onrushing Steve Mandanda, he actually began to take his top off before the ball had crossed the line. It was only a split-second difference and no referee in the world would have dreamed of disallowing Firmino’s goal, but he might have to be careful next time! The goal at Crystal Palace was the fifth of Firmino’s season in all competitions, in what’s looking like a remarkable campaign individually. He’s very much got the centre-forward position to himself, with Daniel Sturridge and Divock Origi as backup. That’s an indication of how well he’s been playing, because those two are both excellent, natural strikers. Neither have bagged in the Premier League though this term, but with 24 goals, we’re still top scorers in the division.